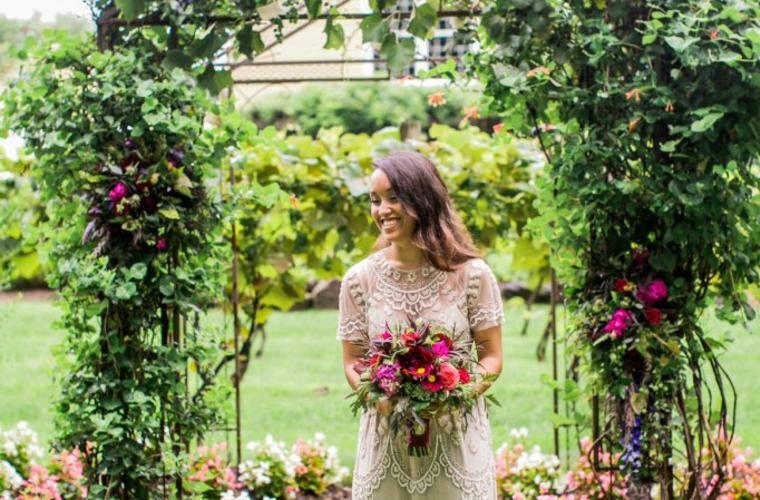 While we all adore the summer and sunny days, fall weddings can make our hearts melt. The warm colors, fresh air and romantic vibes of the season make it the perfect time to plan your big day. Changing leaves create the perfect background for photographs and with the summer heat long gone, your wedding party will be comfortable in their finest threads. Imagine welcoming your guests with a hot apple cider and ending the night singing songs around a fire pit. 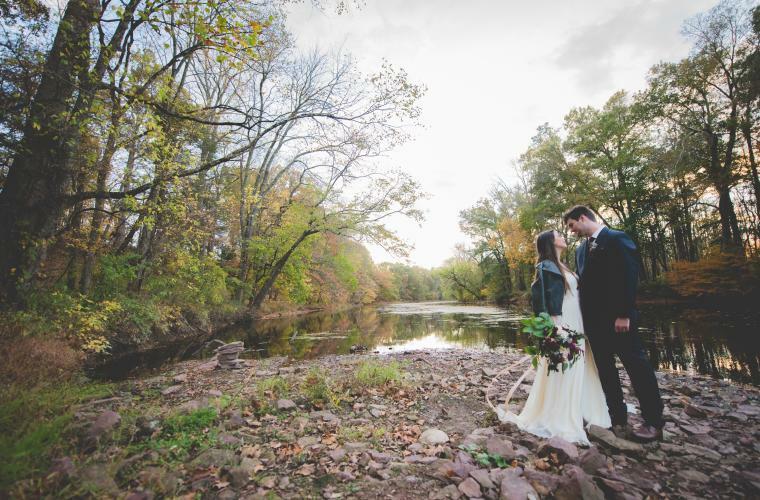 The romance of this season is undeniable...here are the reasons why you should have your dream fall wedding in Bucks County. Fall weather is a plus when thinking about planning a wedding. You don’t have to worry about it being too hot but also if it gets too chilly you can set up outdoor heaters to keep the party going! Nothing creates the perfect setting for a wedding more than a stunning view. Combine historic ambiance with contemporary pleasures and a delightful riverside setting at The Black Bass Hotel. Have a true #BucksCountyMoment at the classic, but contemporary, The Inn at Barley Sheaf Farm. You can pick a full-color fall décor or a more rustic, neutral setting. Either way, you will end up with an exquisite outdoor ceremony that no one will forget. Finish your day roasting marshmallows around a fire pit with cozy blankets and soft music. Who doesn’t love the fall flavors of candied apples and pumpkin pie? You can have a Thanksgiving-inspired rehearsal dinner and serve fall-themed dishes at the reception. Crossing Vineyards has a fall-inspired menu that takes traditional autumn dishes to a whole new level. Decoration is a big part of your wedding day, but when nature does it by itself, what else can you ask for? With its water views and long paths of colorful trees, Washington Crossing Historic Park is the perfect setting. The dramatic stone walls, staircases, fountains and sculptures at Tyler Gardens also make for a picture perfect backdrop. 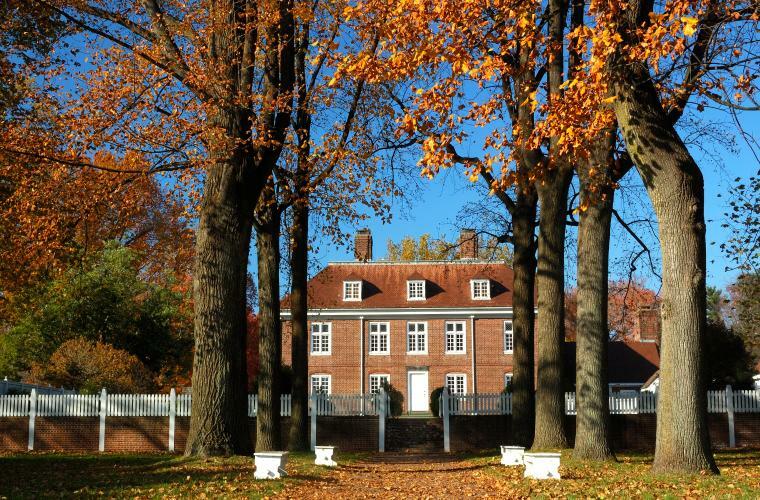 Enjoy the fall foliage at its peak in the magnificent outdoor venue Pennsbury Manor. This house offers a provincial vibe with a breathtaking waterfront view. Envision yourself walking down a tree-lined path looking at your future life partner, with the colors of autumn surrounding you and your loved ones. 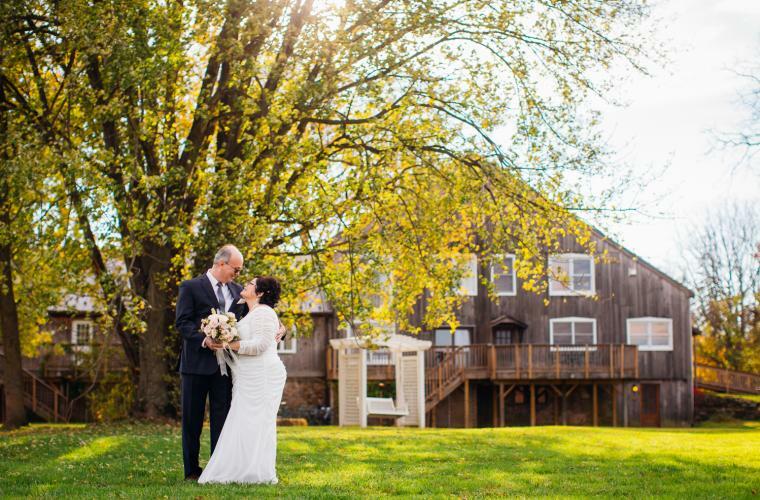 When it comes to celebrating, most weddings stick to the traditional drinks, but in Bucks County, you can add a nice fall twist. If you plan on serving champagne at your wedding, add some pomegranate seeds to each glass to give them a fall touch or if you’re serving punch, add berries and cinnamon to give it a seasonal taste. Venues like the Golden Pheasant Inn will tailor the drinks to meet your specific needs.